We live in a technology driven world and our kids do too. With this comes many things that can be accidentally introduced to our kids no matter how well we try to monitor them by traditional means. There really haven’t been too many options when it comes to monitoring and managing our kids online but that will soon change. A new kickstarter project called Circle by Elameno Inc. aims to change the way parents monitor and manage their children’s online and application use. Having six kids in the house at times can make online management, time monitoring, as well as content monitoring a major challenge. In our house we have three computers, two iPads, three iPhones, six tablets, and various other electronic devices with internet capability. For a while we let the kids have access to look up things on the internet for school work, watch kids stuff on youtube, as well as watch kids shows on Netflix. We thought we were doing a really good job of making sure that everything they did was educational or entertaining and age appropriate. This method all changed when we discovered the kids had looked up a number of things, that to them seemed innocent at the time, but led them to some very disturbing content on the web. I was updating one of the iPads when I discovered searches such as “gerls butts”, “gerls nekid in shower”, and a couple of other searches like “poop” and “pee.” Unfortunately, looking at the history, I discovered the types of web pages these simple searches led them to. At this point I was unsure what to do. Searches for monitoring software, etc. really didn’t provide many good options, especially for tablets, iPads, and mobile devices. At this point we felt our only option was to sit all of the kids down, explain and talk about the issues discovered and disable the browser as well as remove the youtube and Netflix apps. Another issue we have had in the house is time management. Even though we have plenty of devices in the house, it never fails that someone is without a charged device. 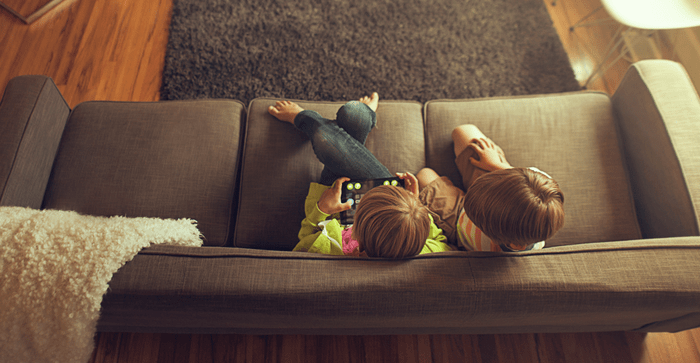 This means that kids have to share, and when we are talking about games, music, and videos, sharing often leads to fights. The Circle device appears to help with all of these issues. It pairs a hardware network device that plugs into your internet connection, with an application that allows you to create a profile for each user, as well as a web or app based management console that provides parents control of content, time, and internet availability. Circle is not yet in production, but if all goes well with their kickstarter campaign, we should see a device and application soon. If you are parents like us, and have struggled with making sure your kids stay away from what seems to be unavoidable content; you may want to check out Circle and back their effort. We definitely need this in our home! Can’t wait until it is released! What a great article, I really hope this device is available soon. Thanks Cintia and welcome to our site!